Captain America helps keep your wardrobe together the same way that he helps keep the great country of America together! This Captain America Shield Tie Bar is a much-needed accessory for any fancy-dressed tie-wearer, or else their tie would go all unpatriotically flapping in the wind like a stinkin' Commie. 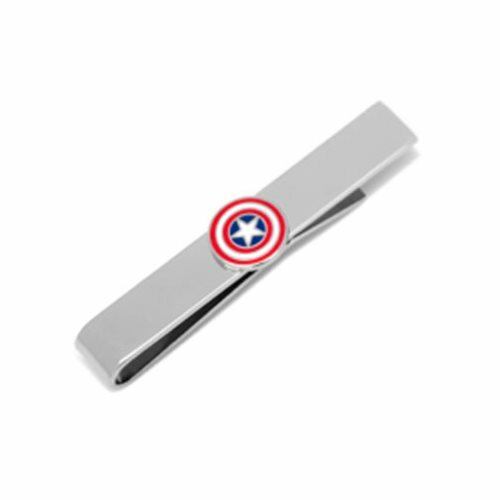 Show your love for Captain America and the old US of A with this awesome tie bar! Measures about 2-inches wide x 1/4-inch tall. Ages 13 and up.